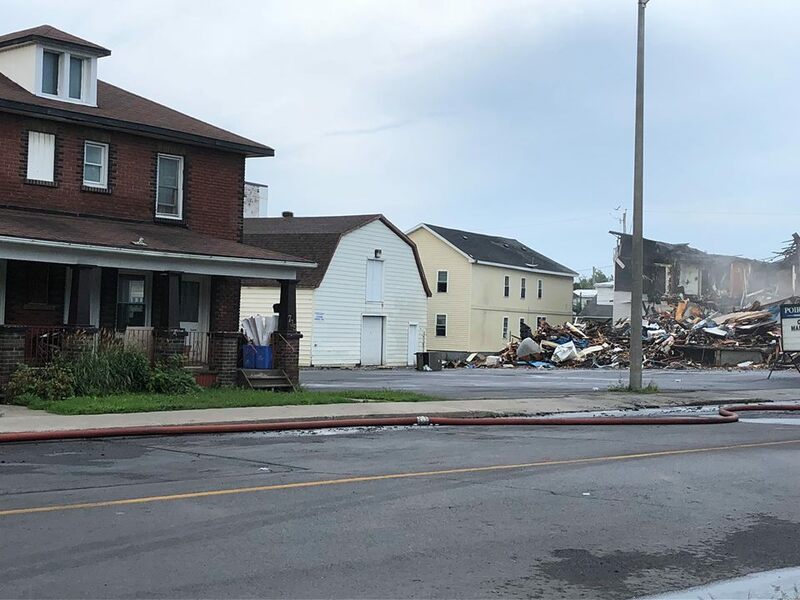 Cornwall Ontario – Many this morning are questioning how the fire that torched three buildings in the le village section of Cornwall was allowed to escalate or get away from local firefighters? Many other buildings were damaged from effects of the fire with some seeing their vinyl siding melt for example from the heat of the fire. 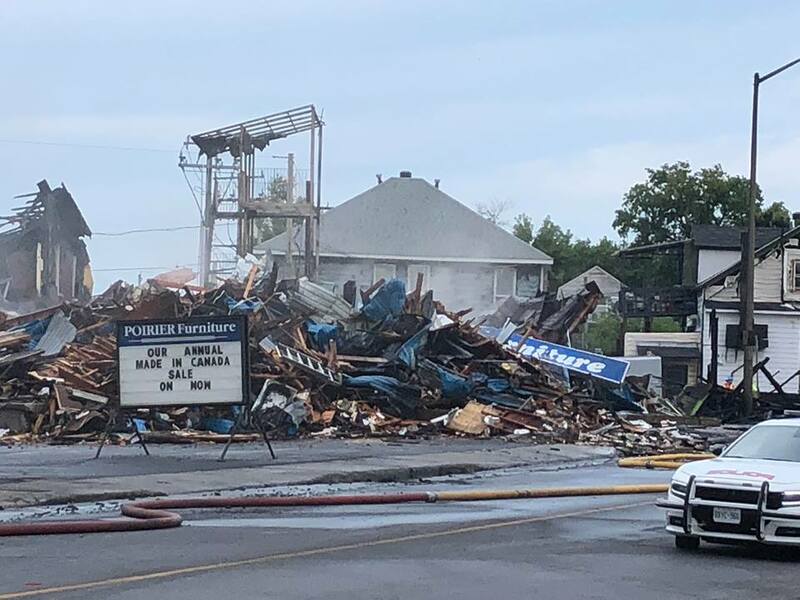 The fire originated at 701 Montreal Road which was the location of a fire two years ago which had some on social media asking if there were any connections to this new blaze? There were allegations our highly paid fire chief was not at the fire as he lives over an hour outside Cornwall near Ottawa. 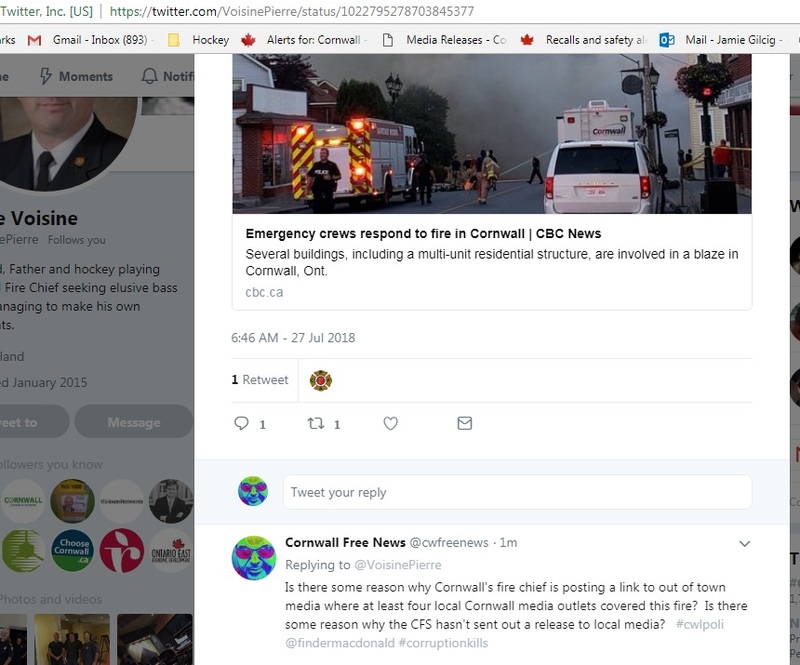 For some reason with four local media outlets covering the fire, two of them really well, he went with Ottawa media to share on twitter while not issuing any media releases. Likewise, with no part time firefighters could there simply have been a need for more manpower to fight the blaze which burned strongly? 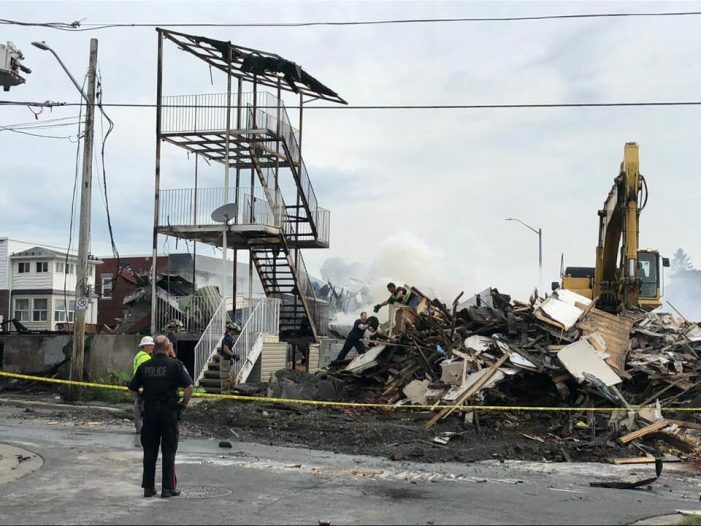 Cornwall’s firefighters are full time and highly trained, but sometimes you simply need more help and there are no reports of asking nearby communities in SD&G for assistance from their volunteer fire services. The city issued a brief release this morning in a non useable format rather than in the body of the email via Emma Meldrum, who in a most petty manner suggested that we media can go look up releases on the city’s website if we wished. 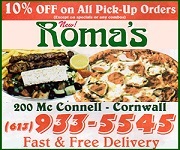 This highlights another issue in Cornwall, in that emergency services are not working well with local media which begs the question why as this could lead to loss of life in emergency situations or for example how the fentanyl issue has been handled locally with Dr. Paul of the EOHU not sending any release for public safety to this newspaper in spite of he being the largest local earner on the Sunshine list earning close to a whopping $400,000 annually? It’s normally critical for the partnership between media and emergency services to be open and professional, especially when disaster hits. Many times media get info to emergency services before they know and assist; at least this outlet has many times, but it seems that because of petty politics emanating from City Hall the public’s best interest and actual safety are at risk. The city only had about 35 firefighters trying to control the massive blaze. Only ten were able to attend initially. Reports of over $1.5M in damages also were stated. The good news is that no injuries or loss of life were reported. A cat was found alive in the rubble! Not surprised… the Cornwalls Fire Department’s first news release from their new PR gal, was to cover for them when they arrived a t a fire and the hydrant was unserviceable. Seems firefighters don’t believe in preventive maintenance or check the status of thir most important resource. No Cornwall firefighter ESPECIALLY the chief should be living more than 15-20 kilometers from the city centre, it shows an abominable lack of foresight by the city’s administration. 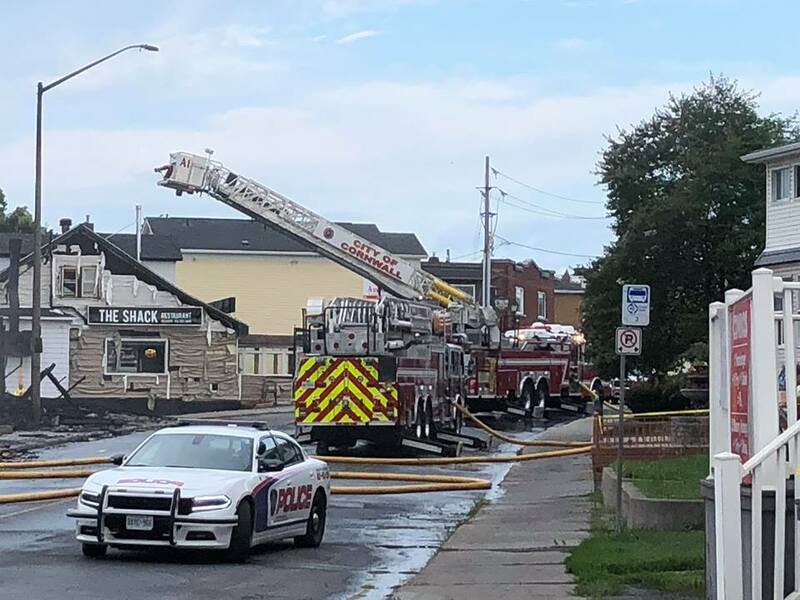 Cornwall has many older buildings and residences and while serious fires are few they still need more firefighters to be available when necessary. And a non functioning fire hydrant issue, just plain stupidity!